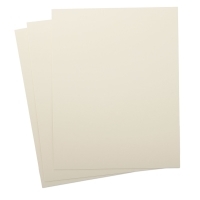 Crescent Cold Press Illustration Boards have a slightly textured surface, and are used primarily for illustration in a variety of media. Please see the Resources tab on this page for Crescent's recommended media applications on No. 300 Cold Press Illustration Board. For a heavier professional cold press board, see Crescent No. 100 Cold Press Illustration Board. 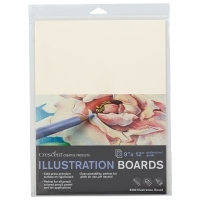 Packs of 3 — Available in the most-requested sizes, these convenient packs contain three Crescent 300 Illustration Boards in a clear, resealable bag that protects the boards until they're ready to use.